Florida was stuck in neutral for most of Mullen’s tenure at Mississippi State. He knew that he had a lot of work ahead of him but Mullen didn’t want to use the term re-build. He wanted to build the program back up his way, to his expectations and to the expectations of the fan base. At SEC Media Days in July Dan Mullen spoke about what an honor it was to him to take over a program with the history and tradition that Florida has. He also readily admitted that the program was inconsistent, had two four-win seasons in the previous four seasons. 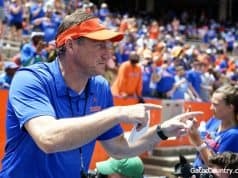 Now, 10 months into Mullen’s tenure at Florida the Gators appear ahead of schedule. The only blemish on their record is a week two loss to Kentucky. 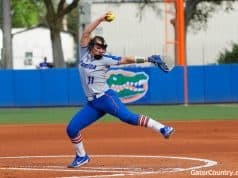 The Gators have won four straight games including a road win over a ranked Mississippi State team and a home win over No. 5 LSU. Things are going well, almost too well, so when Mullen was asked on Monday where he thought the program was and if it’s where he expected to be this quickly he took a step back. The facilities are in the works. 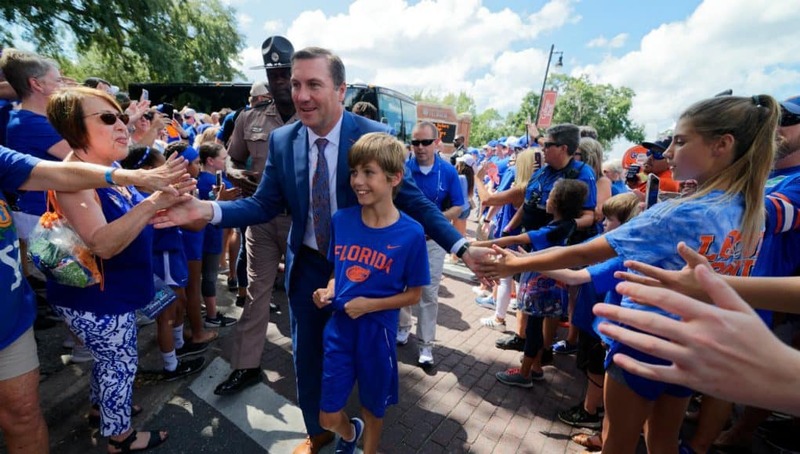 They won’t break ground on Florida’s stand-alone football facility until late 2019 or 2020 but Mullen will be able to shape the building to his liking and what he believes he needs to continue bringing Florida back to where he believes it should be. Facilities are nice but they don’t win football games. Mullen inherited a team that didn’t have a real strength and conditioning program, didn’t know how to win or what went in to being a winning team. Those were the immediate issues that needed to be resolved. Just as those physical transformations helped the players buy in to the strength program the wins on the field are affirmations as well. 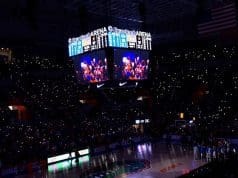 Six games into the 2018 season and Florida has learned how to win. They have more wins than they did in the entire 2017 season and they’re improving each week. Mullen isn’t satisfied with this. Florida is on the way but they’re not there yet.